I am the #1 Kindle bestselling author of Ghost Gifts, soon to be a trilogy. 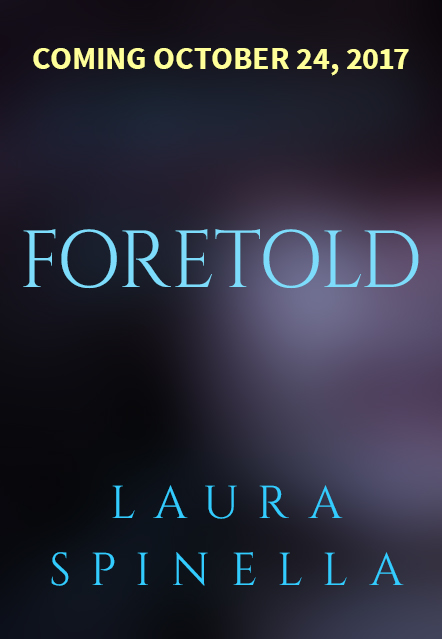 Book two, Foretold, will be out October 24, 2017. 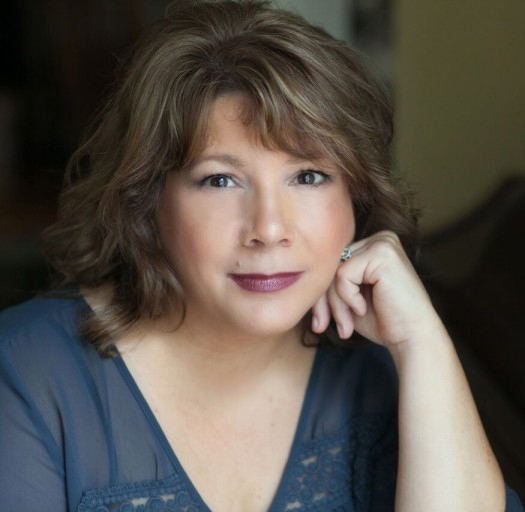 Ghosts Gifts has garnered more than 3,300 Amazon reviews and is a RITA Award finalist, Romantic Times finalist and Audie-nominated, all for Best Paranormal Romance. The third book in the trilogy is due out in 2018. I’m also the author of Unstrung, a women’s fiction novel that was named a “most notable and anticipated book for spring” by Publishers Weekly, along with a starred review. I have four additional novels to my credit, including Beautiful Disaster, a 2012 RITA finalist for Best First Book and two books I’ve written under a pen name, L. J. Wilson. The Clairmont Series novels are spicier romantic suspense. In June 2017, Ghost Gifts won the Audie Award last night for Best Paranormal recording, narrator Nicol Zanzarella. About three years ago, I moved from Penguin to Montlake Romance, which is an Amazon imprint. They offered me a two-book deal, and I grabbed it. It was about the time publishing channels really began to change. For me, Amazon represented an opportunity I couldn’t get as a midlist author with (then) the big seven. I’m a native Long Islander, but have called New England home for the past 15 years. I’ve also spent a good deal of time in the South, where I earned a degree in journalism from the University of Georgia. I’ve always written for newspapers, but didn’t take up novel writing until I turned forty. So far, it’s been a lot of hard work, giant learning curve, smart agent advice, and maybe a tiny bit of luck. Well, maybe the ability to tell a tale. I suppose I’ve accomplished enough to actually type that. I am a chameleon author, which has its positives and negatives, in terms of readers. 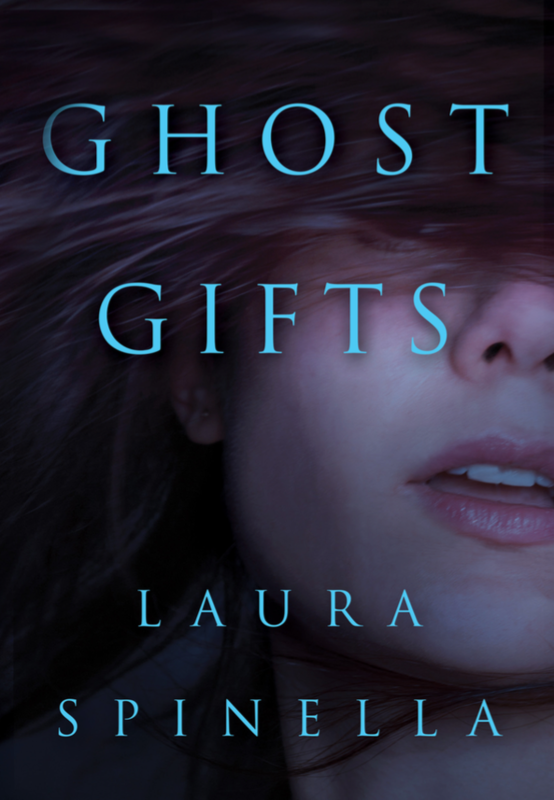 As noted, Ghost Gifts technically fits into the category of “paranormal romance,” a term that honestly makes me cringe a bit. I never set out to write a “paranormal romance.” However, all books have to be called something, so here we are. Like a lot of people, I’ve always been fascinated by ghost stories. Unlike a lot of people, I happen to live in a 140-year old house that, I think, has a lot of influence–an ethereal vibe, if you want. I think the house, and whoever, influenced the writing of Ghost Gifts. From a writerly standpoint, I simply had this idea about a woman who had a profound psychic gift she totally hated. The story is her journey to accepting that gift, along with solving a decades old murder mystery, and a little assistance from an unexpected love interest. I think the “trick” of the book was to make the reader believe in the main character’s gift. Maybe that’s why it worked. 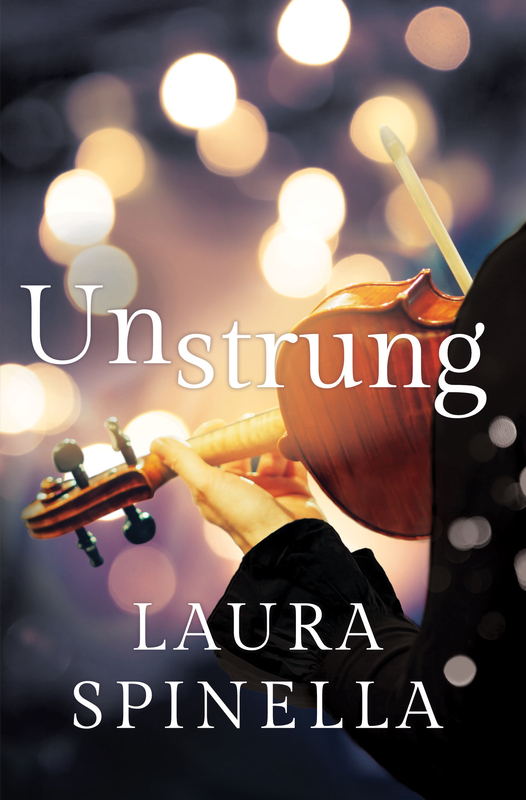 Unstrung couldn’t be more different in terms of genre, characters, tone, theme…cover art, etc. 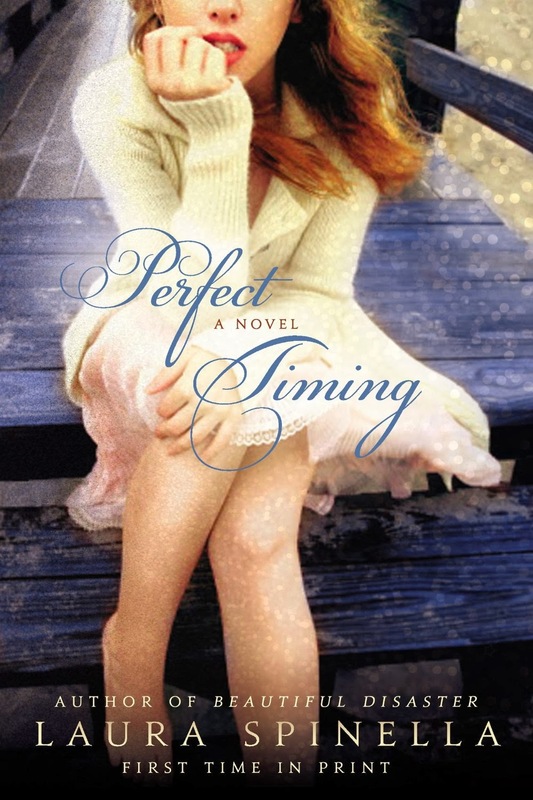 I wrote this book in first-person present tense; it’s the story of Olivia Klein, a woman whose life is anything but finely tuned. It’s brash and unapologetic; it was definitely a writing risk. The book fits comfortably into the general category of women’s fiction—but again, that wasn’t necessarily my goal. A wiser me would probably have given more thought to catering to a specific audience. I don’t know that Ghost Gifts helped Unstrung in terms of sales. The books likely appeal to two different readerships. 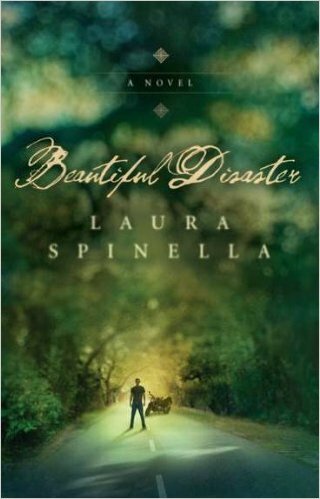 What I strive for, what I hope for, is an audience that just wants to read a Laura Spinella book. So there’s always the next goal. I can crank out a draft in about nine months; it takes closer to a year and good editorial advice to get the book to a more polished level. I’m working on a tight deadline now. For example, as I handed in Foretold, I started writing book three in the Ghost Gifts trilogy. That was in January. Considering I’ve had to stop for Foretold edits, and with GGIII due at the end of the summer, that’s a fairly tight timeline. When I’m feeling frazzled, I just kind of mutter, “We’ll get there,” until I believe we will. My agent is the fabulous Susan Ginsburg at Writers House. I’ve been with her since before my first novel sold. I was very lucky to have landed her as an agent. She’s as smart about the industry as she is about writing. She’s an incredible editor, which is a luxury and skill many agents don’t offer. It was a big easy decision to go with Montlake. What do I mean by that? I’d heard from several author friends how they differed as a publishing entity. I know not everyone is a fan of Amazon imprints or how they’ve affected the industry. I could only look at my personal situation. If wanted a chance to earn a living from my books, this seemed to be the right choice. The level of professional input, whether editorial, artistic, promotional has been outstanding. I know Amazon is a huge company. When you’re an author with one of their imprints, they go out of their way to make it a very personal, positive experience. I’ve also self-published two novels under a pen name. This was by choice. 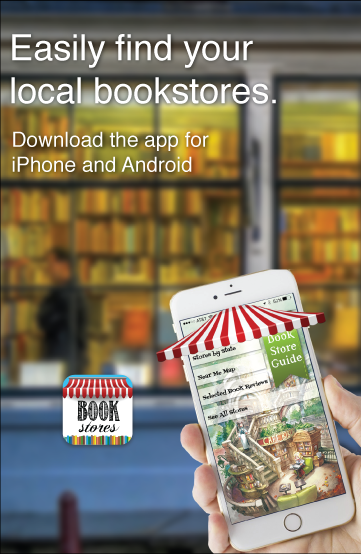 I have a partnership with my web developer, AuthorBytes. (I also happen to work for them part-time). They’ve branched out into a full-service, self-publishing how-to enterprise for authors who want to self-publish. I’m as proud of my Clairmont Series novels as I am my traditionally published work. The books are the same quality. 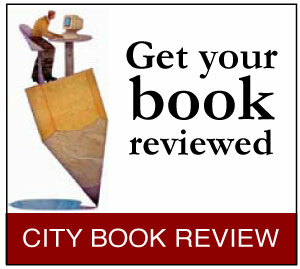 However, self-publishing does require a lot more effort on the author’s part and some monetary investment. Yes! I have a great team at Montlake that handles all this with my traditionally pubbed titles. Everyone and everything, from my developmental editor to the PR team is accessible and helpful. I struck gold with the developmental editor Montlake assigned to me. Her input has taken my storytelling to the next level, I think. My cover experience with Montake was very different than Penguin. I love my Penguin covers, but they arrived as a the finished product. Montlake is always interested in having the author’s input. Being involved in that part of the process has been a terrific experience as well. The promotional venture that created the largest result for me was being selected as a Kindle First. The exposure was amazing and unlike anything I’ve ever experienced in publishing. Montlake has continued to support my books with additional promotions that feature my titles. I follow up these specific promotions with a few Facebook ads and my newsletter. I find I have excellent open and click-through rates with my newsletter when I link to Montlake promotions. For example, if Ghost Gifts is a Kindle Deal of Day for $1.99, it’s helpful to promote this to my subscribers, and I do see an additional boost in sales. Secondly, I do signed book giveaways, not just from me but from other authors. I generally have about a 60% open rate when I do a giveaway. I think the key to a successful newsletter is offering something to the recipient and building the excitement via FB and Twitter posts until the newsletter goes out. I have a number of titles out there, but I’ll just go with Ghost Gifts numbers during release. 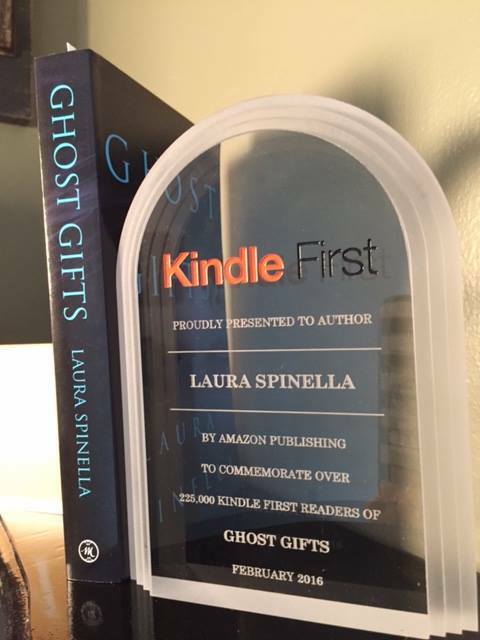 When the book was a Kindle First in February 2016, Ghost Gifts had more than 225,000 Kindle readers that month. This does not include sales for $1.99 that month, which also was well into the thousands. 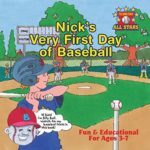 The book was #1 in Kindle Store 24 out of 27 days that month, meaning it was the most popular title out of the 4.5 million titles available on Amazon. Sales numbers remained strong for much of 2016, and I can say that, by far, this has been my most successful book. At present, Ghost Gifts has sold more than 75,000 copies. Confession time. Aside from standard social media channels, I leave my marketing to the professionals. I’ll do FB ads and interaction, some Tweeting, guest blogs if I’m asked. There are only so many hours in a day and I’m spending most of them writing the book. The biggest boon I’ve had so far is Ghost Gifts being chosen as a Kindle First. As some readers may know, Amazon chooses six of its titles each month and features them as what they call a Kindle First. It’s highly promoted, and the exposure is like nothing a single person or even top-notch PR firm could produce. Of course, being a Kindle First is not without risk. These books tend to come under harder scrutiny than most. (I’ll never forget a backhanded 5-star review of Ghost Gifts that said, “I didn’t expect much from a free book.” I was, like, “Are you kidding? I spent two years of my life with this book!”) Reviews can be brutal, but you know what they say about “no risk.” Being a Kindle First definitely worked to my benefit. The book was well received and remained #1 in Kindle store almost the entire month of February 2016. It did so well that Montlake asked for a trilogy. While being a K1 is not something you can sign up for, if an author is ever afforded the chance, I’d say grab it! I’ve spent a good bit of money on Facebook ads over the years. I’ve had great results and zero results. Nowadays, I feel like newsletters are the hot ticket. During the past year, I’ve focused more on growing my subscriber list. 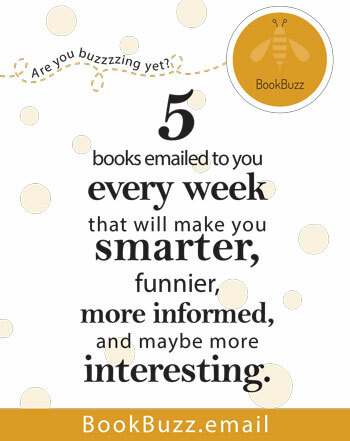 I do feel like this creates a personal connection with readers, which is nice for me and readers who take the time to read my books and engage. I’m old school when it comes to writing. It’s just me, a Word doc, cheap composition notebook, and a fantastic critique partner. I do google lots of stuff. I take my book research very seriously. Don’t put the cart before the horse. First you have to write the best book you can. Never publish anything that hasn’t been professionally edited. Don’t listen to the opinion of your mother, sister, BFF, or partner when they say your book is fantastic, the best thing they’ve ever read. It might be, but seek that praise from someone who knows what they’re doing. Listen to good writing advice. I’ve never learned a thing from someone saying, “Gee, I really loved your book.” It felt great–but it didn’t teach me anything. Put a lot of thought into traditional publishing versus self-publishing. What do you want out of the experience? The answer to that should tell what lane you should be in with your work. Hang tough. The ups and downs of publishing rival a theme park rollercoaster.